Cloth seed biology │ pineapple seed handmade jewelry Park Gee feels with the unique texture and soft color of the clay. Come to a Wanton pineapple seed, embellished with the unique taste of wearing details. Handmade and colored jewelry, each one is unique Can be customized pin / magnet models / black string necklace / coffee thick rope necklace. 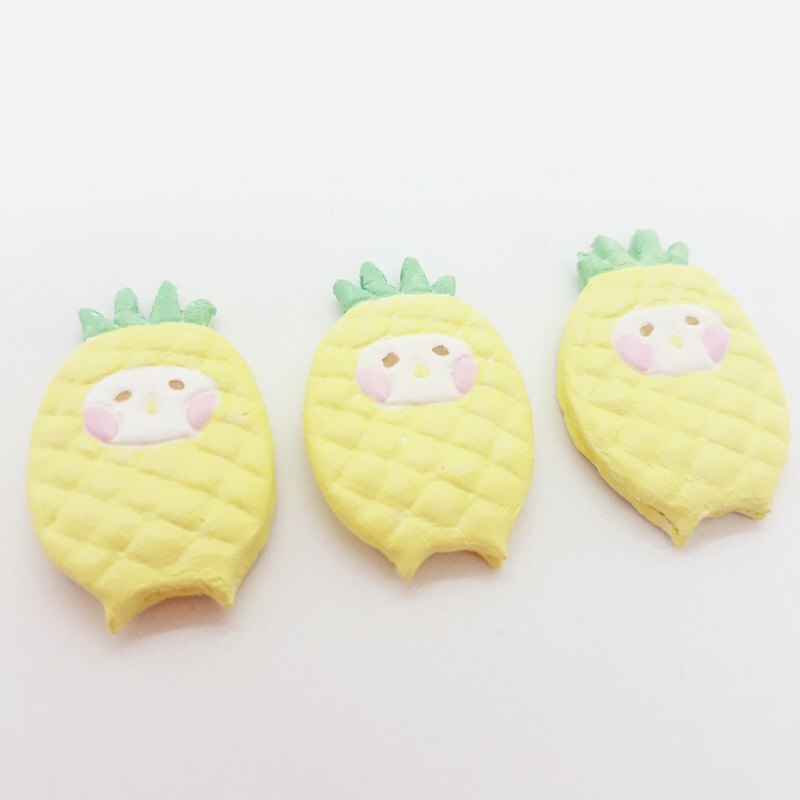 Product specifications: 1 into Material: clay Size: about 3 cm Precautions: ● This product is coated with a multi-layer waterproof protective coating, but please avoid the possibility of damage due to soaking in the water. ●Clay products are fragile. Do not use force to fold them. If they fall to the ground, they may be broken. ●Hand-kneading and coloring, each one is different. The photo is a reference picture. If necessary, you can contact the designer to see the picture. ●The unique hand-feeling of hand-made products, non-machine exquisite and standardized, please do not order. ● There is a small amount of stock, and the dispatch can contact the designer to inquire about the stock.